Please complete to request your sample. *For US residents only. Samples are subject to availability. Kindly await a confirmation email, Thank you. Taurine is an amino acid found in fresh meat. 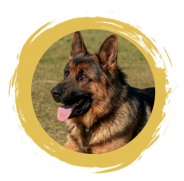 Most healthy dogs can naturally synthesize taurine from their food. However, studies suggest that foods lacking the proper formulation of ingredients, and particularly foods with lower quality meat, lead to decreased ability to synthesize taurine. 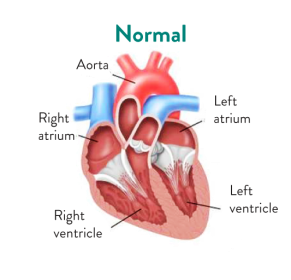 This is especially concerning for at risk breeds and could lead to taurine deficiency, posing a risk for heart disease. WHAT IS TAURINE AND TAURINE DEFICIENCY? 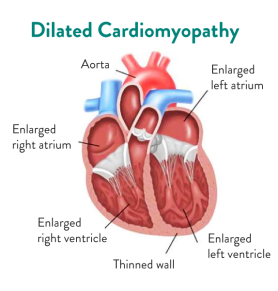 When Addiction was being formulated 20-years ago by a holistic veterinarian, Dr. Ly, he recognized a correlation between dogs with heart disease like Dilated Cardiomyopathy (DCM) and taurine-deficiency. 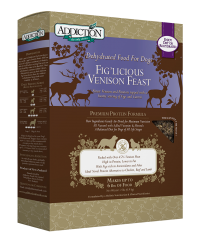 It was important to Dr. Ly and Addiction Pet Foods to take the lead in preventing heart disease. 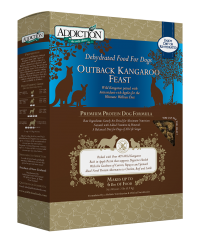 That is why all Addiction dry and raw-dehydrated dog food is rich in taurine and made with premium ingredients from the purest place on Earth - New Zealand. If your dog does not eat or tolerate you have options. Receive credit at the place of purchase or try another Addiction dry or raw-dehydrated formula. 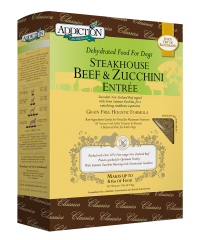 “Both my pup and I are happy with this food. 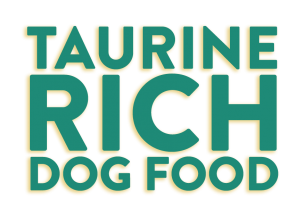 Because of a recent pancreatic disorder, my 1 year old GSD needed food with a specific fiber percentage. 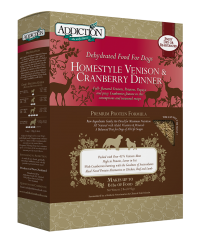 Not only does this food fit the parameters, but it has a high nutrient content and (according to my pup) a great taste. Very happy with this product. "Very good product. 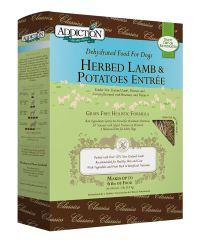 Have been feeding my dog another brand and recently tried the Addiction dehydrated food and he loves it. 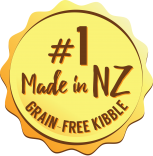 Besides the health benefits that dehydrated food gives it is from New Zealand where it is all range free meat and the packaging is very small compared to a equivalent amount of dry food. 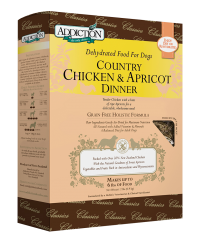 My dog is much more eager to eat this and his preference is a oatmeal consistency and acts like he is getting a treat." "Fabulous! My dogs love this stuff. We tried a sample at a charity event and my dogs have been begging for Addiction ever since. 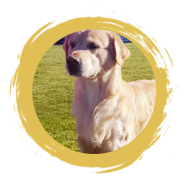 We have high-quality, grain-free kibble on a daily basis. 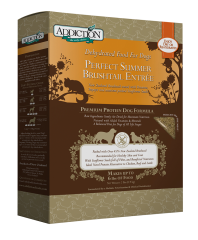 I sprinkle some of the Addiction in with the regular kibble every couple of days as a treat. They love it - and they still eat their other kibble. 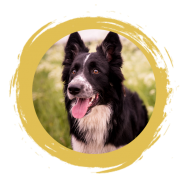 :)"
Premium dog food made with high-grade meat and anti-oxidant rich fruits and vegetables from the purest place in the world - New Zealand. 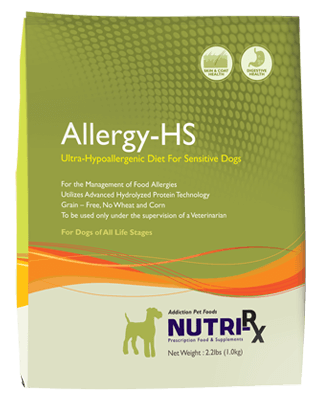 and artificial preservatives to prevent allergies and help boost your pet's overall health and wellness.